Interior walls organizers matter a lot while looking to display your items of decors or interest you always cherish a lot! 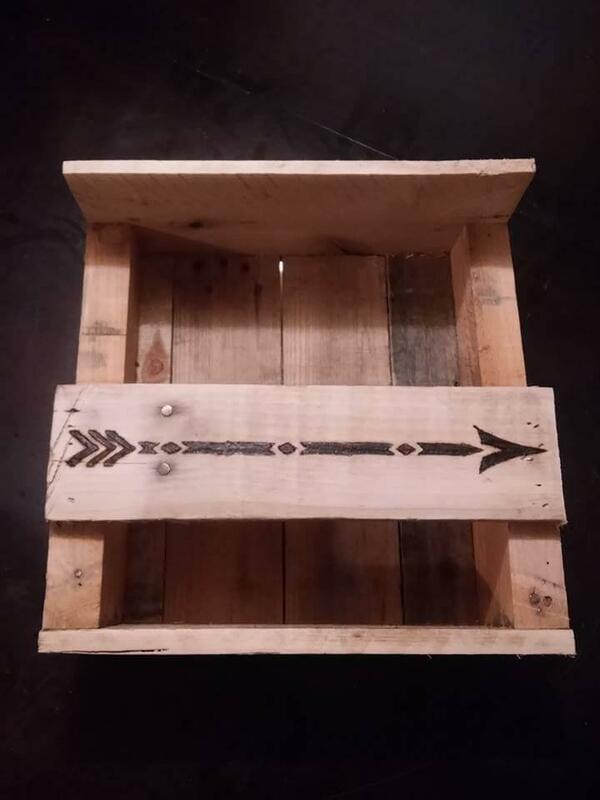 Market-bought versions of racks and wall organizers can give beautiful suggestion to organize a given set of things but if you want a DIY or pallet wood solution then this DIY pallet wood organizer is begging to be installed on your wall are and is as cost-efficient as you want! 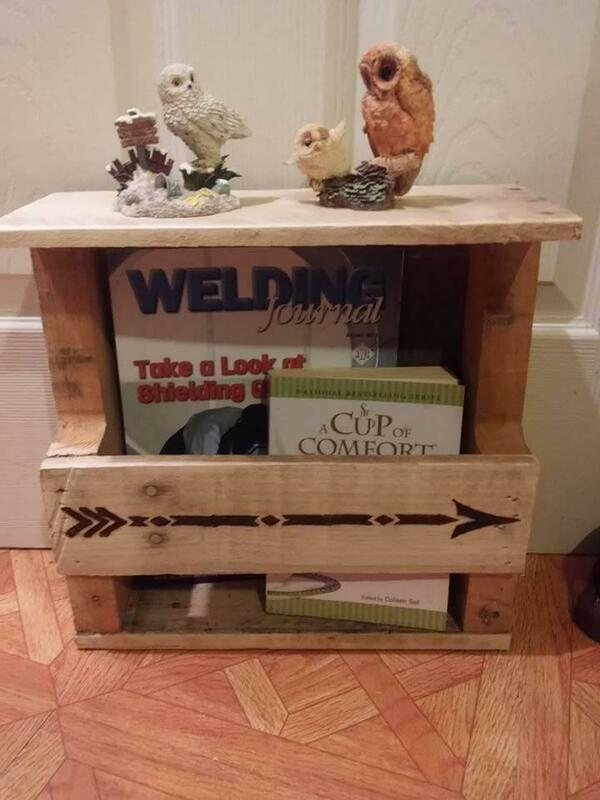 The design has a whole pallet wood composition and offers great holding space to organize your books, mobile phones and also other items of interest! To also give a decorative platform to user, the organizer also gives a mantle level that can display your toys, antique pots and handcrafts in an amazing way! You can also use it at your entryway and can add some hooks in front of it to also organize your keys, coats and hats! This creative pallet furniture will spice up a wall area and can also be utilized as toiletries organizer in your bathroom interior! 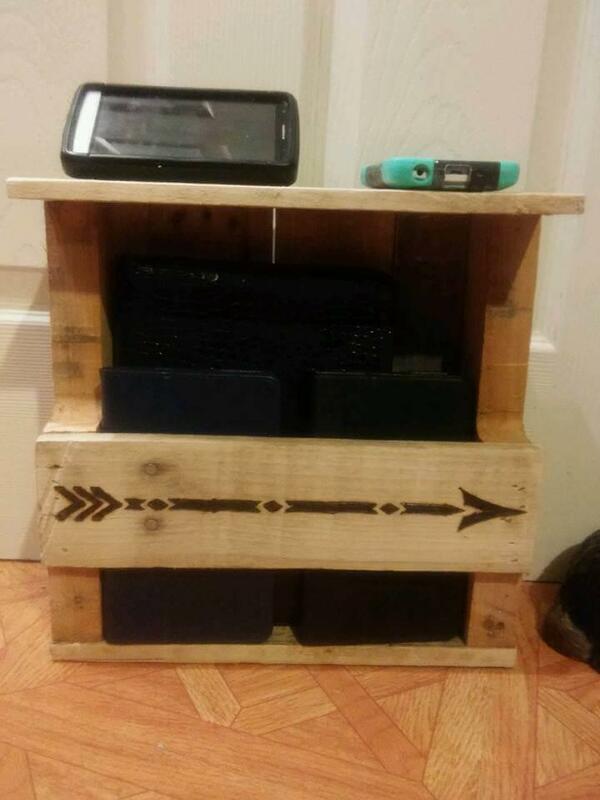 This organizer design is what that super easy or quick to achieve with pallets! Straight boards of pallets have been intermingled in a creative way to gain this splendid design of wooden organizer that can be targeted for any type of storage! An arrow sign has been painted on the front to use also as a wall sign! Top of it is actually a shelving level which is awesome to put up your decors and items of interest that need a great number of views! The design is equally compatible to mobile phone or mobile cases storage and pallet boards installed to its front just make a perfect holding place and would let the inside items fall off the ground! Get inspired of this design to build awesome mail organizer, toiletries shelves for bathroom and also kitchen spice rack for your kitchen!